A version of this post was originally published at r12n on Medium. YouTube contains innumerable amateur covers of popular songs, from teenagers strumming guitars in their bedrooms to garage bands in dive bars. Few covers, however, attract millions of views and glowing praise from the original artists. A few years ago, Irish summer college students posted a cover of Swedish DJ Avicii’s mega-hit “Wake Me Up” that became a global sensation itself. Notably, the cover was performed in the Irish language (Gaeilge), and soon became the language’s most-viewed YouTube video. As a sociolinguist interested in minoritised languages, I’ve been exploring how this emerging practice of posting music video covers in minority languages on YouTube shapes (and is shaped by) questions of national identity, language attitudes, and revitalization practices. 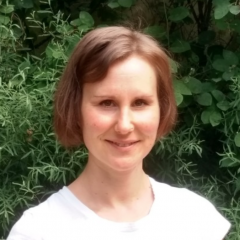 Access to new media spaces and genres can contribute to changing attitudes and emotions related to minoritised languages, which are often regarded as old-fashioned and unglamorous. Through its interactive character, by offering the possibility to comment on the videos, YouTube also opens up a window on the shifting emotional landscape around the languages. An analysis of the digital conversation surrounding the Irish version of “Wake Me Up” and a different song cover in the Sámi language shows how the performances elicit enthusiasm, admiration, love, solidarity and pride. At the same time, a closer look at the comments reveals how this apparently “happy” space is cut through by divisions within and between ethno-linguistic communities, marked by scorn, anger and shame, and engendered in many cases by acts of “everyday nationalism” linked to the colonial histories of Ireland and Finland. Both Irish and the Sámi languages are minoritised languages from peripheralised sites. Although Irish is the first official language in the Republic of Ireland, it occupies rather a marginal position in many areas of everyday life, such as business and the media, where English is the dominant language. Sápmi, the region of the indigenous Sámi people, stretches over the northern parts of Norway, Sweden, Finland and north-west Russia. Of the nine Sámi languages, three have the status of an official language in the part of the Sámi domicile area that is located within the borders of the Finnish nation state. Otherwise, Finland has two national languages, Finnish and Swedish. The most vibrant of the Sámi languages, Northern Sámi, is estimated to have around 30,000 speakers in total; other Sámi languages have only a couple of hundred speakers, and all nine languages are classified as endangered. 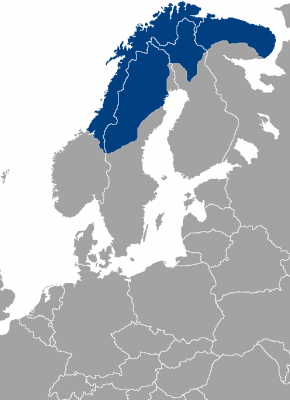 The historical trajectories of Sámi and Irish echo those of many other minoritised languages, involving deliberate marginalisation and stigmatisation on the part of the dominant nation states and, in the past few decades, attempts at language revitalisation, especially among young people. 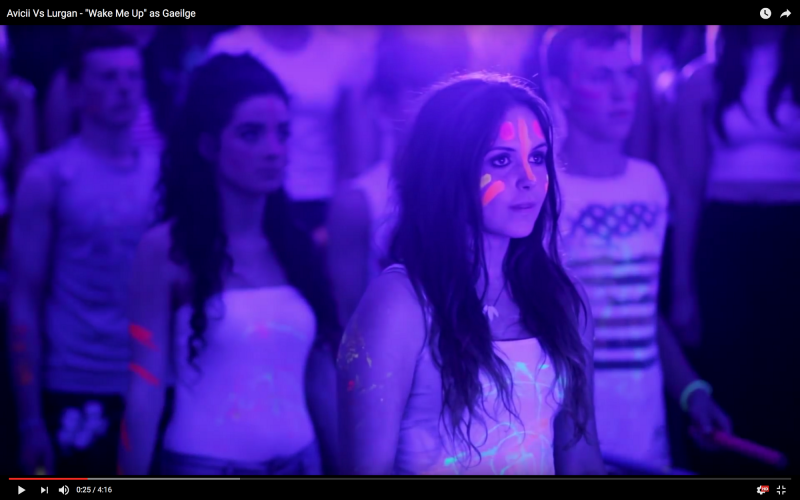 The video from the Irish context is entitled Avicii Vs Lurgan — “Wake Me Up” as Gaeilge and is a remake of the global mega hit “Wake Me Up” by Swedish DJ and producer Avicii. The Irish version is a joint production of teachers and students from Coláiste Lurgan, an independent, non-profit, but self-supporting, Irish language summer school in Gaeltacht, the Irish-speaking region on the west coast of Ireland. Producing Irish-language versions of globally popular pop songs has for a few years been part of the coursework at Coláiste Lurgan. As such, the Avicii Vs Lurgan video is not unique. What makes it special, however, is the media attention it gained and the huge popularity it achieved: the performance was praised by newspapers and online magazines; radio stations added the song to their playlists, not only in Ireland, but also in Australia and Canada; and part of the group starring in the video were invited to perform on the Late Late Show, broadcast on the national channel RTÉ1. The performance was noted even by Avicii himself, who linked to the video on his Facebook page and posted “This one is so cool! I can’t understand a word but I love it.” After two months on YouTube the video had gathered 2 million views. Three years later, the figure had risen beyond 5 million and the video which at the time of my analysis had more than 5,500 comments. While most of the comments are written in English, around 1,000 are in Irish or include some Irish, and a handful is written in other languages, such as Spanish, Russian and German. The video from the Sámi context is a parody of the popular song “Missä muruseni on” (“Where Is My Sweetheart”) by Finnish pop singer Jenni Vartiainen. The cover video, “Leivänmuruseni” (“My Crumb of Bread”), makes a humorous reference to the hardships associated with the traditional Sámi way of life. The video was uploaded on YouTube in autumn 2011 as a teaser for the TV comedy show Märät säpikkäät/Njuoska bittut, which was conceived, co-written and presented by two young Sámi women, Suvi West and Kirste Aikio. The series was the first “Sámi comedy show” shown in prime time on national Finnish TV, and as such, widely noticed and promoted by newspapers and weeklies. The video appeared in the first episode of the show as the first part of a series of similar musical parodies. Over its first four years on YouTube, the video had gathered around 320,000 views and 230 comments, written mostly in Finnish, with a few short ones in Sámi and English, and one in Spanish. A primary theme among the comments, as might be expected, is the quality of the performances themselves. The vast majority of comments on both the Sámi and the Irish performance are positive in tone. A second category of discussion addresses the commenters’ perceptions of their own “Irishness” or “Sáminess”. If Irish people usually identify positively with “Irishness”, what we see in the comments is more than positive identification; it is pride gone viral. What seems to have happened here is what one of the commentators urged: ”Keep listening to it and spread the word about it brings out the Irish in us all :) ”. Other exchanges embody features of hate speech, drawing divisions between the Irish and the English or the English-minded “West Brits“. In the Sámi/Finnish context, the category of ethnicity is far less pronounced. Here, one commentator belonging presumably to the majority Finns wishes that “the Sámi finally could be proud of their cultural heritage”. In both cases, the performances triggered an abundance of positive comments about the two languages. In the Finnish context, a number of comments praising and advocating the Sámi language stem not from the Sámi people, but from the majority Finns opposing the position of Swedish in Finland. In this strand of discussion, the love for Sámi is inspired by hatred of Swedish, and rather than uniting, it creates divisions “in the name of love”. In the Irish context, the ability to speak Irish makes a theme of emotional engagement in its own right. While the expressions of pride, joy and solidarity forge ties of belonging among those (considering themselves as) able to speak Irish, at the same time they work to exclude those who don't know the language or are less fluent. I am Irish but am ashamed to say I don’t understand a word of this but i still love it…. Taken together, these two cases show how music video covers can positively influence attitudes and emotions related to minority languages, their speakers, and the associated ethnicities/nationalities. At the same time, they demonstrate how these kind of performances, put on a social media platform, might also propel the reproduction of everyday nationalism and social divisions.